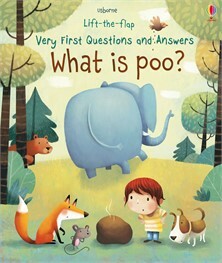 The perfect introduction to understanding how the human body works, designed as a lift the flap book, this brilliantly illustrated book is a fun, hilarious and gentle way to teach your child about their bodies. The colourful book will keep you and your little ones fascinated as your discover more about your own bodies. It's also tough and created especially for little hands to enjoy or to fling across the room!